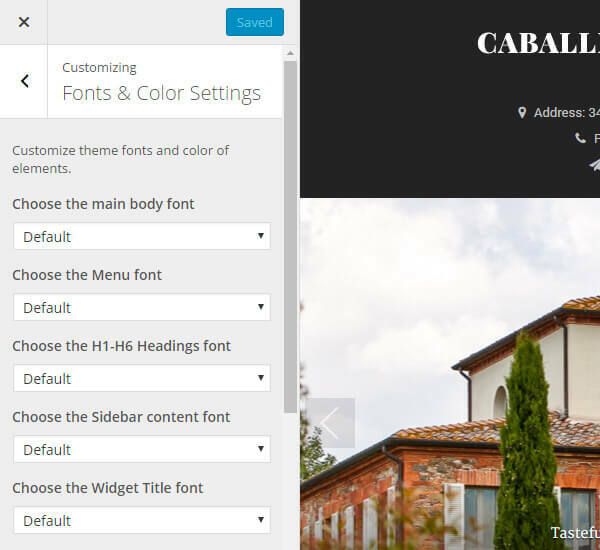 Below you will find information related to Caballero WordPress theme. 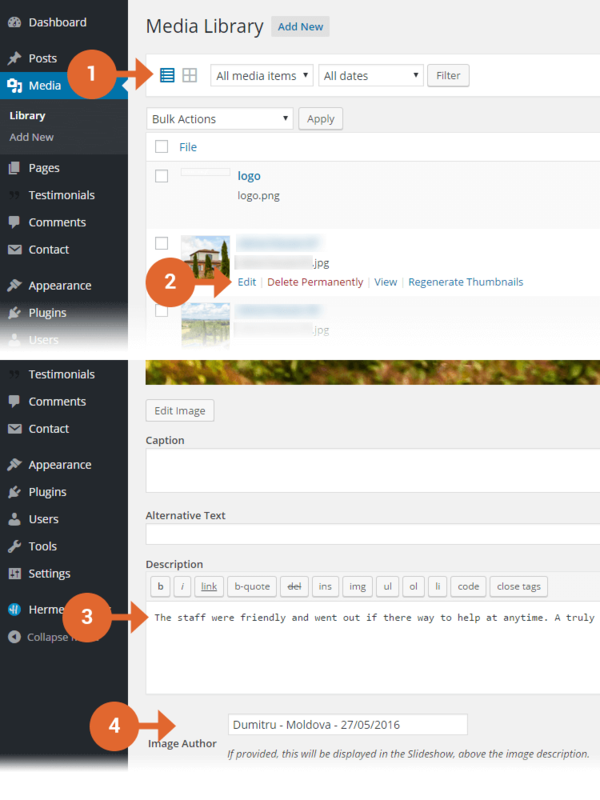 How to display testimonials or image descriptions in the slideshow. From the Dashboard go to Media > Library. Switch the images into a List mode. Click EDIT under a photo that is displayed in the slideshow. Enter the description for the image: this can be anything you want, even a testimonial from one of your previous customers. Enter the author (or headline) for the image description. By default it will appear above the description. Click Update in the top-right corner of the screen to save your changes. How to display the quick links overlaying the slideshow (top-right corner). From the Dashboard go to Appearance > Widgets. 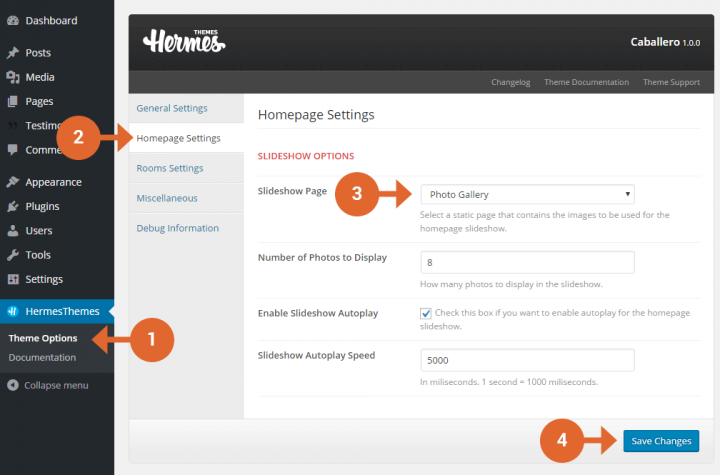 Add multiple instances of the Hermes: Promoted Link widget into the Slideshow Widgets widgetized area. 1600×800 – used for the slideshow on homepage and single post/page pages. 750×550 – used for the larger thumbnails in the Hermes: Featured Page widget. 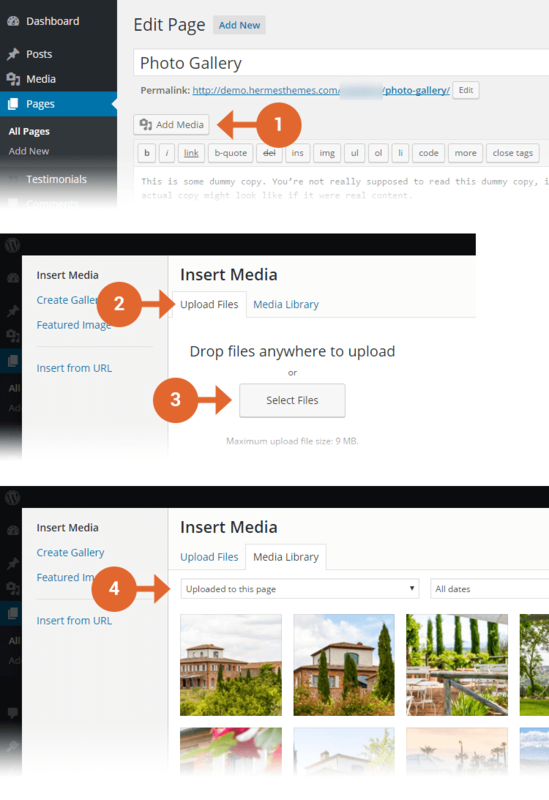 360×240 – used for the Featured Pages and in some custom templates (Rooms List, etc.). 240×160 – used on archive pages and in some custom page templates. Blog Archives – used to display posts from all categories on a single page. Example: here. 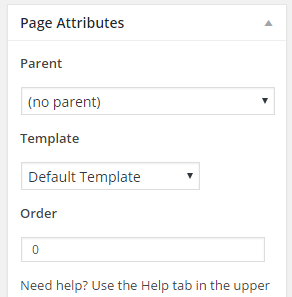 Reversed Sidebar – Example: here. Rooms List – can be used to display child pages in a grid format. Example: here and here.